When you’re ready for an adventure with your wheelchair or mobility scooter, you need to consider destinations with accessibility to parking, to onsite attractions, and to be certain that when you arrive you’ll be able to maneuver as independently as possible. Here are five destinations within an hour of Akron, Ohio with a variety of possibilities. The first is outdoors and perfect for the warm days of summer and fall. The Towpath Trail runs through the heart of the Ohio & Erie Canalway. More than 2.5 million visitors travel the Towpath each year. Its 85 mile length is mostly ADA accessible with varying surfaces of asphalt, crushed stone, and wooden boardwalks. 48 trailheads provide access to the Towpath Trail with available parking. Most of the route is level and well-shaded with lots of historic sites and other attractions. The trail runs nearly continuously between four counties and the short on-road breaks are easily to navigate. Twenty miles of the path run through the Cuyahoga Valley National Park which has even more trails that are accessible to wheelchairs, bikes and scooters. South of Akron in Canton, the Pro Football Hall of Fame stands as a shrine to all the old football greats. The museum, interactive games, and gift shop make it a fun trip for all ages. The Hall of Fame is wheelchair accessible and provides free parking. Visitors can reminisce about defining moments in football history and honor their favorite players. Allow time to peruse the jerseys, helmets, footballs, programs, rule books and other unexpected memorabilia accumulated over the more than 120-year history of pro football. If football is not your obsession, travel to Cleveland for one of Ohio’s most popular destinations, the Rock and Roll Hall of Fame. Before you go, check out helpful online information about accessibility (elevators, parking, etc.). The museum has information about the evolution of Rock and Roll, which includes countless other genres and today’s top artists along with countless hours of music available to listen to. In addition to the many themed rooms you will also find wheelchair accessible seating in all the theaters and friendly staff available to give added assistance. The pathways around the museum are nearly level with open views of the Lake Erie and offer easy access to the nearby Great Lakes Science Center and a steamboat museum. Just 45 minutes from Akron is a longtime family favorite, the Cleveland Metroparks Zoo. Young and old agree on this destination, home to several thousand animals spread across 183 acres. Best to set aside a full day to see everything here – Australian Adventure, African Elephant Crossing, the Rainforest and much more. At African Savanna, visitors can hand feed lettuce to one of the zoo’s four Masai giraffes. Both the main park and the indoor Rainforest are wheelchair accessible. The fifth destination is northeast in Kirtland, Ohio. 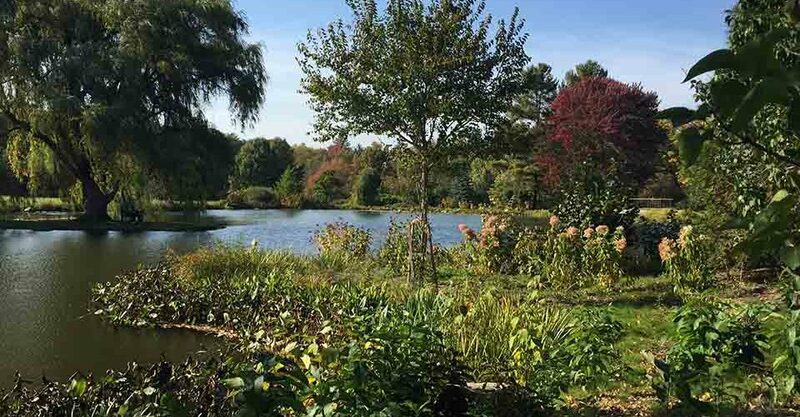 The Holden Arboretum is one of the largest botanical gardens and arboreta in the country, with more than 3,600 acres containing gardens, trails, and visitor centers. Cultivated gardens come alive with color in the spring. Cool forest trails offer a respite from the summer heat; woodlands are set ablaze with rich colors in fall. For added adventure visit during wintertime. Along with basic accessibility, these five disability-friendly Northeast Ohio destinations feature a variety of terrains to conquer, from smooth indoor surfaces to the rugged off road conditions of woodland trails. If you’re looking to expand your mobility to navigate gravel, grass or even muddy conditions, visit Pace Medical Equipment & Supplies today to consider the possibilities. Our experts can give you a free, no obligation consultation. Step on board and test drive one of Pace’s Golden line of mobility scooters including the Golden Patriot model which features four wheel, independent suspension, lighting and off road accessories. Make your world more accessible and imagine countless new destinations! Pace Medical Equipment & Supplies © Copyright 2019. All Rights Reserved.